Remember! If you like any of these projects, please click the source link and pin from the original owner’s site (and leave them a comment too!). 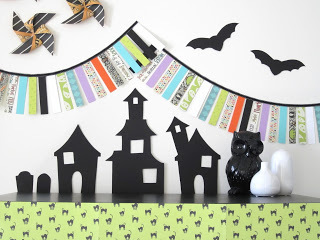 “Boo” Book Page Bunting by The Golden Sycamore. 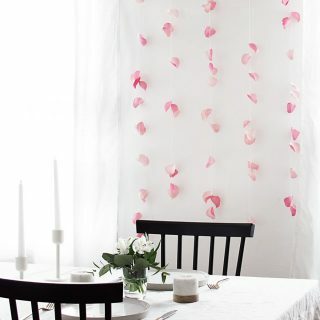 Love how simple and elegant it is. 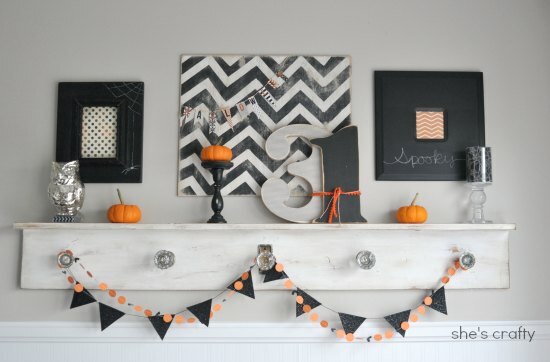 Halloween Mantel by She’s Crafty Crafty. I especially love the glittery felt bunting. 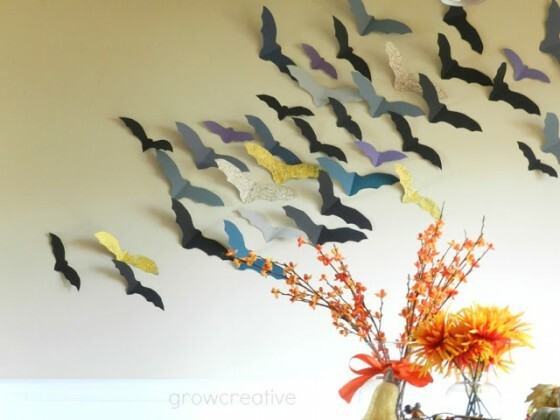 Paper Bat Invasion by Grow Creative. A beautiful mix of colored and patterned paper. 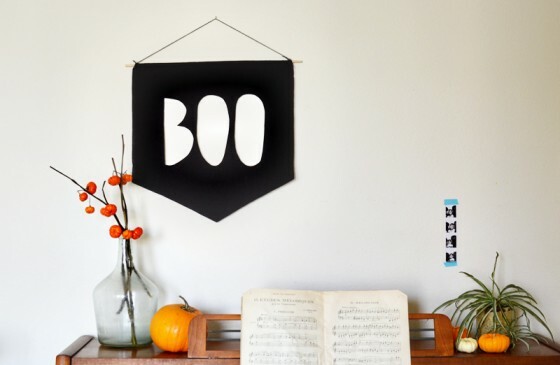 “Boo” Banner by A Beautiful Mess. *Super cute* and simple. 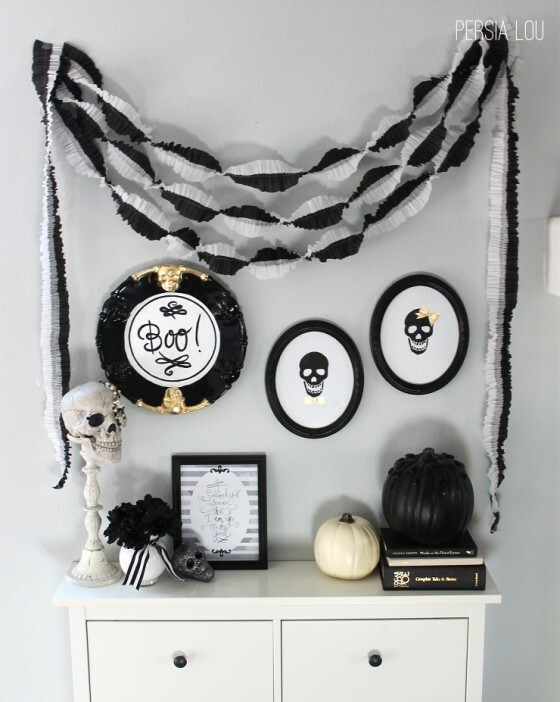 Paper Halloween Display by Design Sprinkle. These adorable paper designs are available as free printables or as a tutorial on how to make your own. 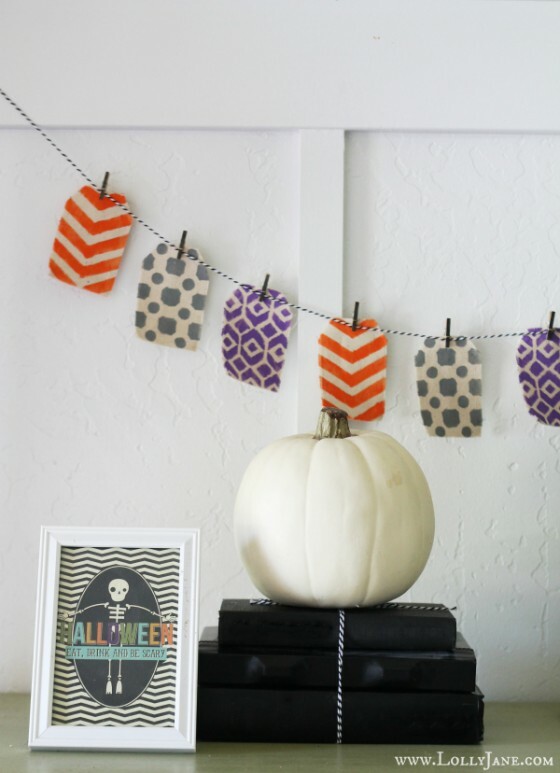 Stenciled Halloween Bunting by Lolly Jane. Love the colors and the cute black and white string. 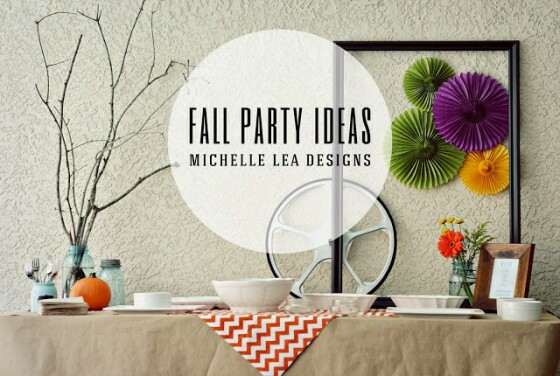 Fall Party Ideas by Michelle Lea Designs. A gorgeous table display for a Halloween dinner party. Snack Mix Bites by Spoonful of Flavor. The perfect bite and I just love the way they look! 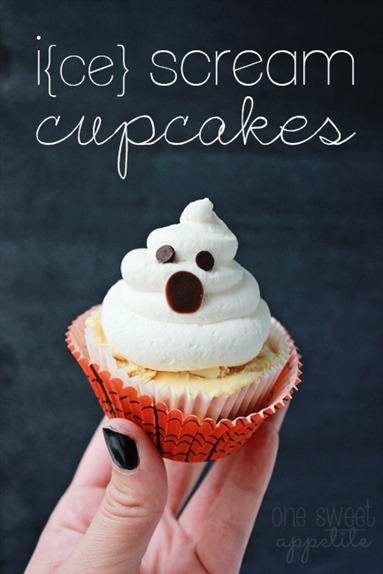 I(ce) Scream Cupcakes by One Sweet Appetite. The little ghost AND the name is too cute. 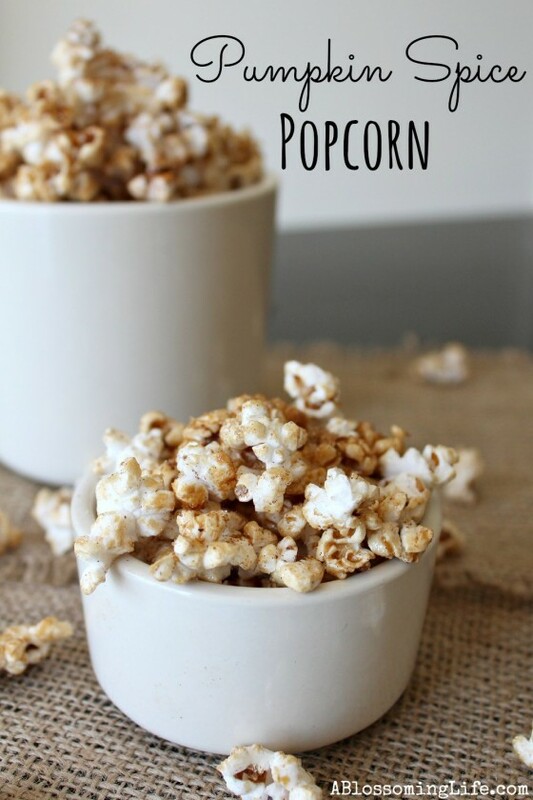 Pumpkin Spice Popcorn by A Blossoming Life. Plentiful and addicting! Mini Ghost Cookies by Make Me Cake using a tulip cookie cutter. How creative and adorable! 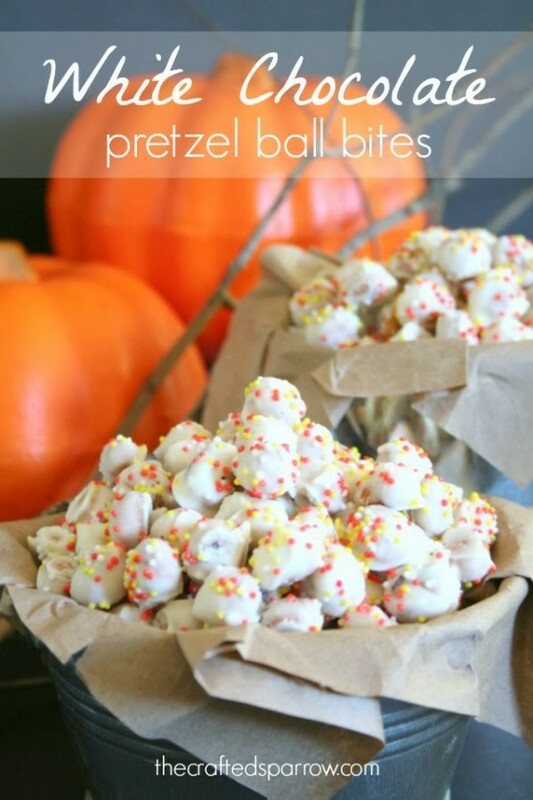 White Chocolate Covered Pretzel Balls by The Crafted Sparrow. The sprinkles are the perfect touch. 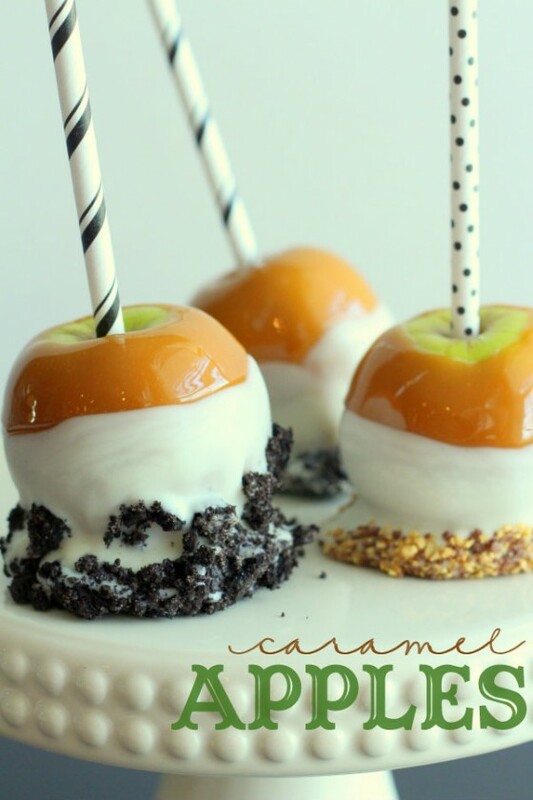 Caramel Apples by Lil Luna. So cute with those lollipop sticks. 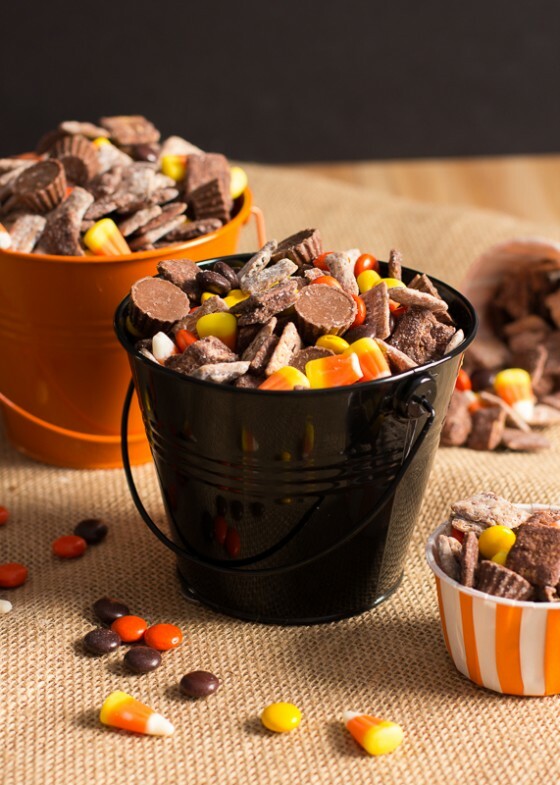 Chocolate Peanut Butter Puppy Chow by The Messy Baker. 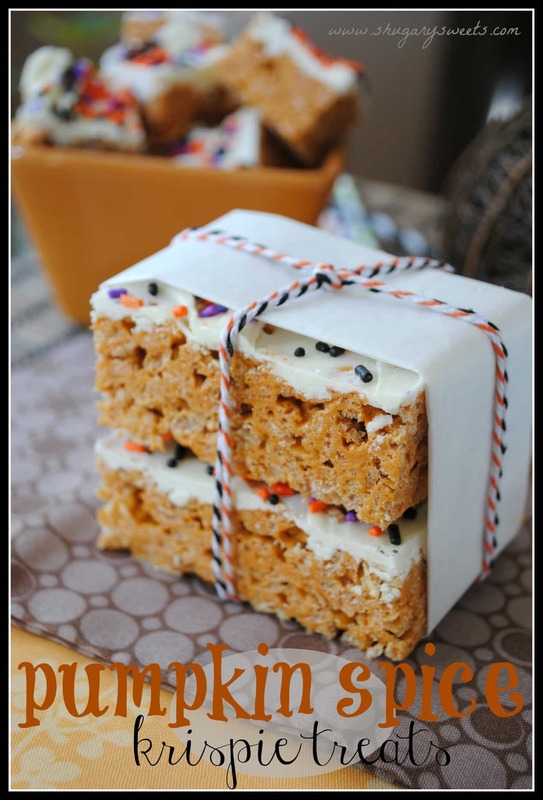 Always a hit and extra decadent with added peanut butter cups and Reese’s pieces. 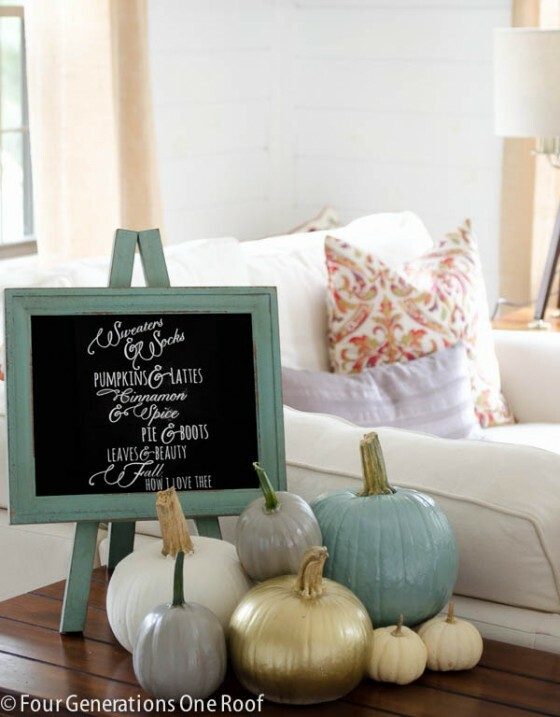 Painted Pumpkins Vignette by Four Generations One Roof. The soft colors and the gold look so pretty together. 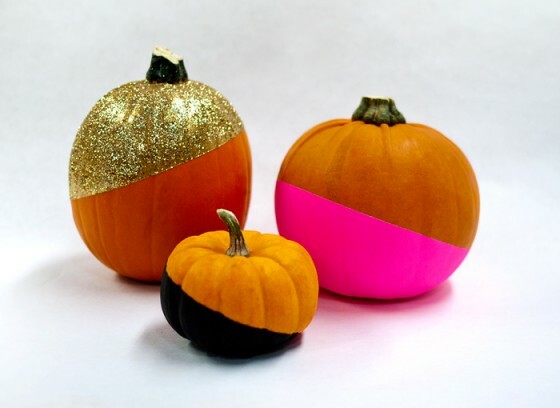 Paint Dipped Pumpkins by Ciera Design. Modern and chic! 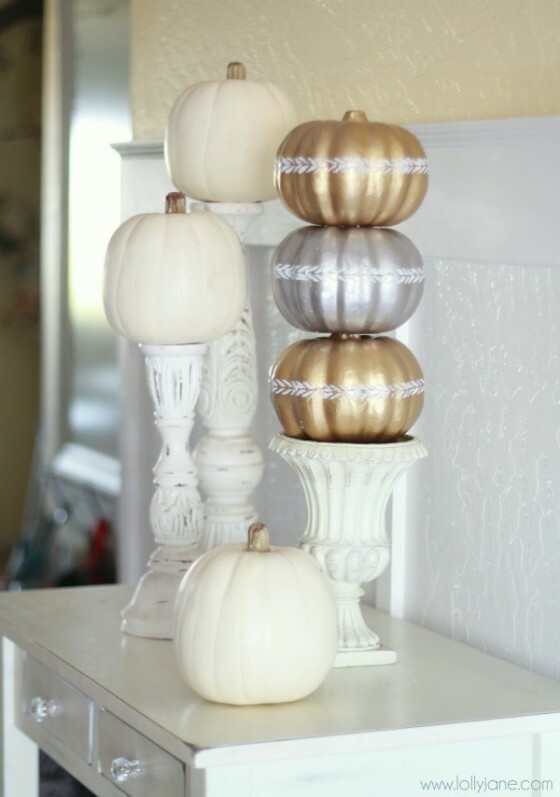 Gilded Pumpkin Topiary by Lolly Jane. Have I told you how much I love metallic colors? 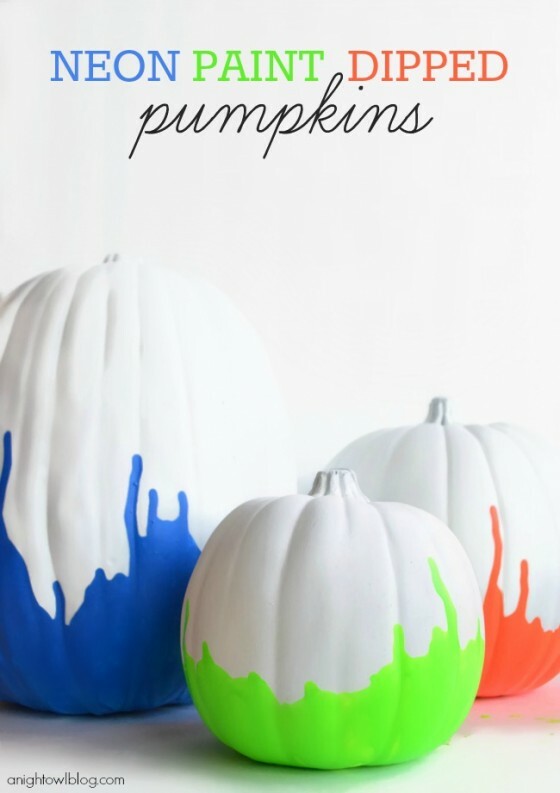 Neon Paint Dipped Pumpkins by A Night Owl. One of the most unique pumpkin designs I’ve come across. 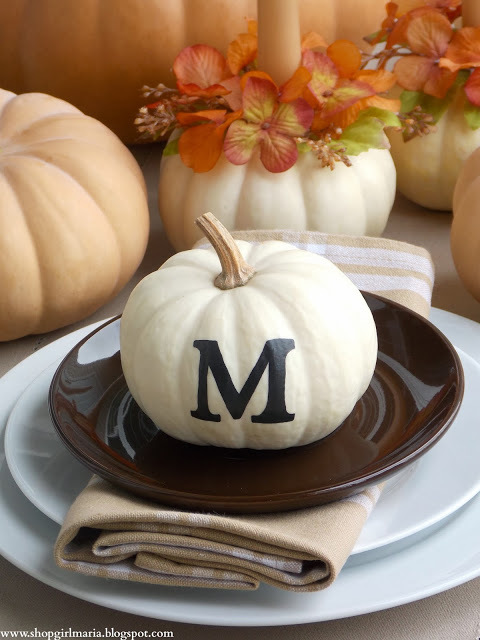 Monogrammed Pumpkin by Shop Girl Maria. 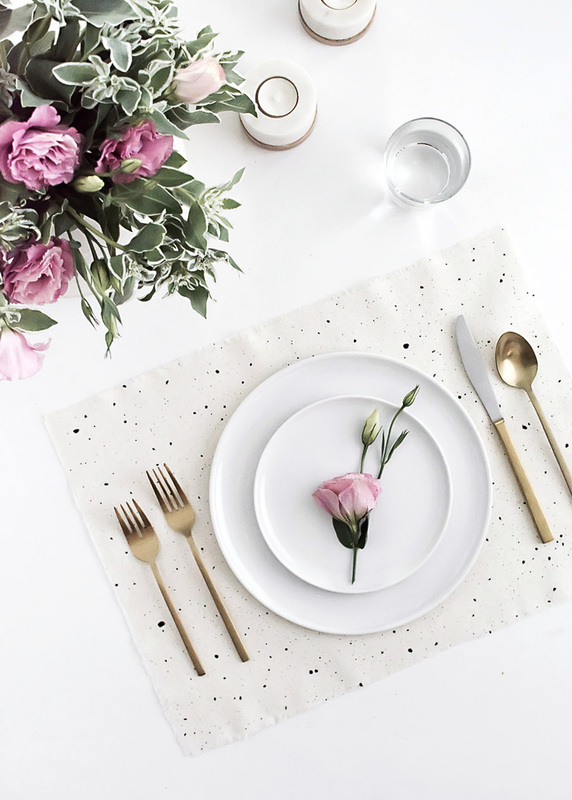 Perfect for a table setting. 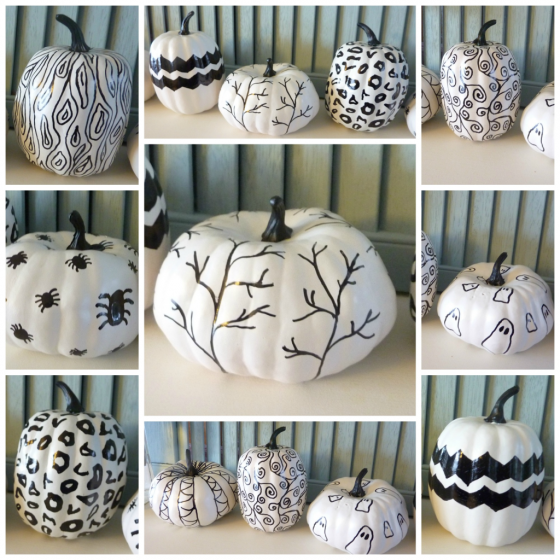 Hand Sketched Sharpie Pumpkins by The Happy Housie. How fun and easy are these?? My favorite is the leopard print. Hope you are inspired and most importantly excited for Halloween. It’s only a week away! Now all I need is inspiration for costume ideas… What are you going to be for Halloween and what are your plans? I’d love to know! 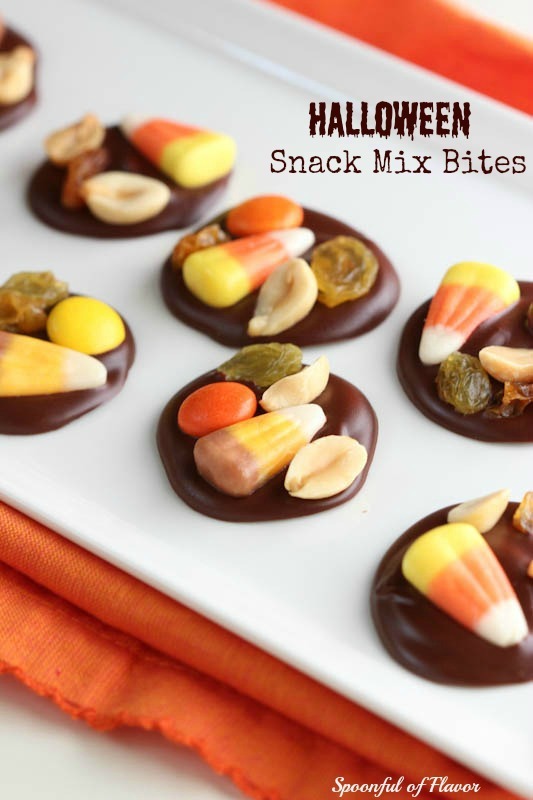 Amy, thanks so much for including my Halloween Snack Mix bites. I’m sharing this post on social media today! Fun Roundup! 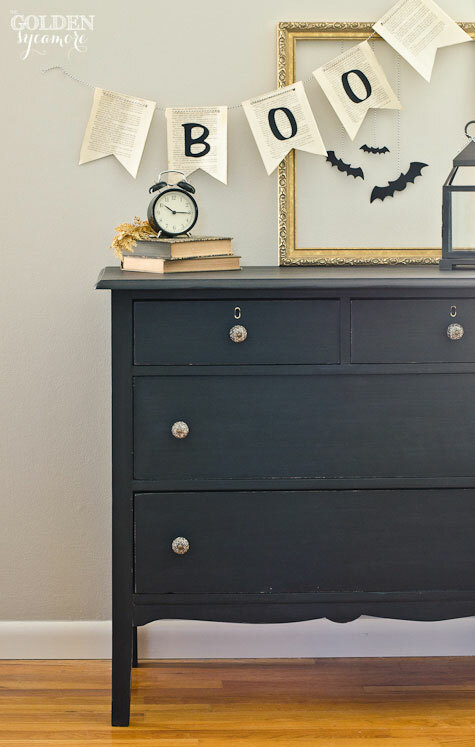 Thanks for including my paper bats! 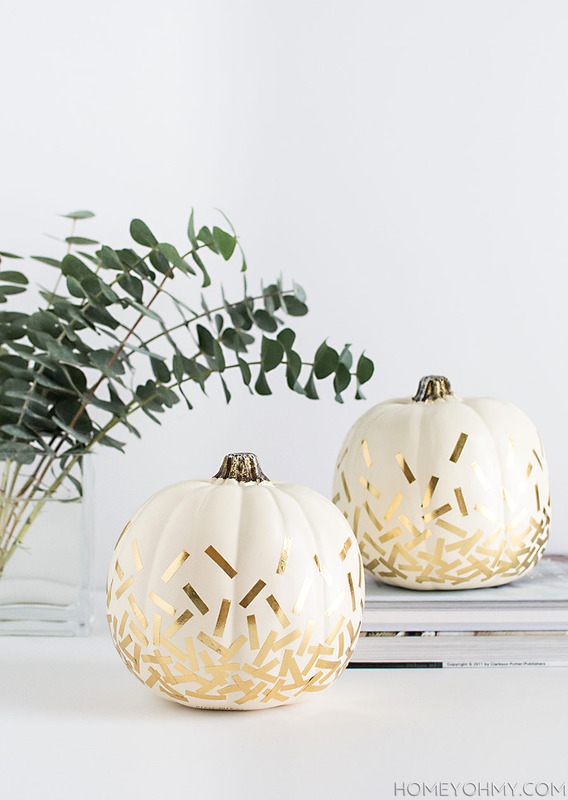 Thanks for sharing my pumpkins! Amy! 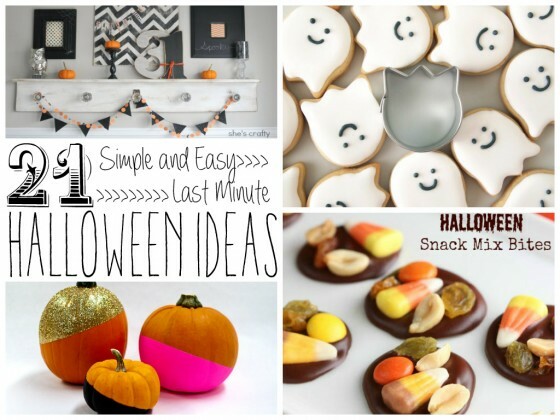 Thank you so much for adding in my Fall Party Ideas! Have an awesome weekend! Great picks! Thanks so much for including me! 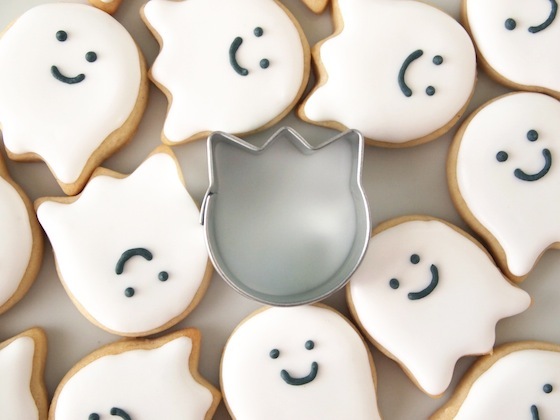 I need to go find a tulip cookie cutter now because those ghost cookies are too cute.